2" - 2 1/4" Artificial Silk Rose Petals. Approx. 200 pcs. 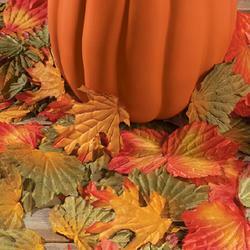 per unit, 100 for glitter and 250 for fall leaves. Choose from colors listed. 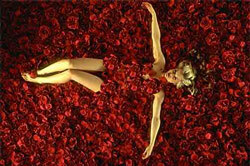 Image with girl composed using a red muslin backdrop as flooring, and approximately 20 packages of red roses.